For centuries, residents of Sterling, located in Worcester County, Massachusetts, have enjoyed rural surroundings, clean air and water and abundant wildlife. Like most towns in Massachusetts, Sterling has seen many changes in the last few decades. 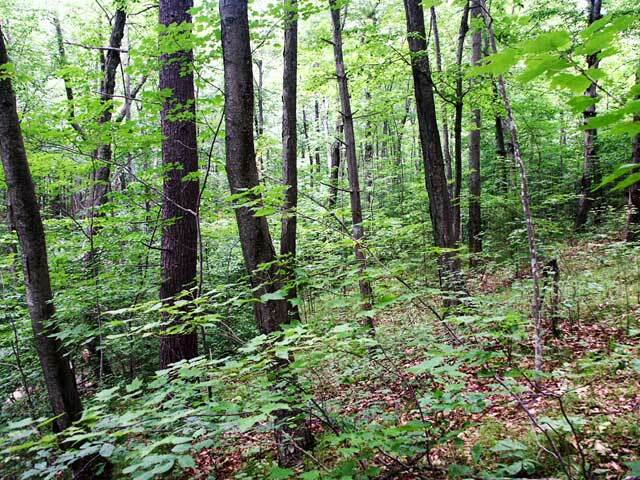 Numerous acres of farms and forests have been converted to one and two acre residential lots. Ironically, if those trends continue unchecked, they will eradicate the very features that made Sterling an attractive place to live in the first place. 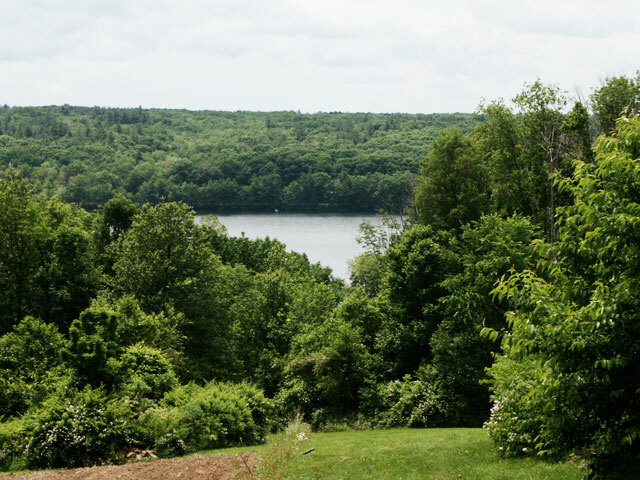 With pristine forest, a babbling brook, meadows, an apple orchard and a stunning view of East Lake Waushacum, Virginia and Harvey Rittenhouse have enjoyed the scenic beauty of their land since purchasing it with Virginia’s parents in 1963. Portions of the site, known as the Butterick Estate (as in Butterick of sewing pattern fame), have been in continuous agricultural use since the 19th century. The Rittenhouses started with 150 acres and periodically sold lots for residential development (see timeline.) 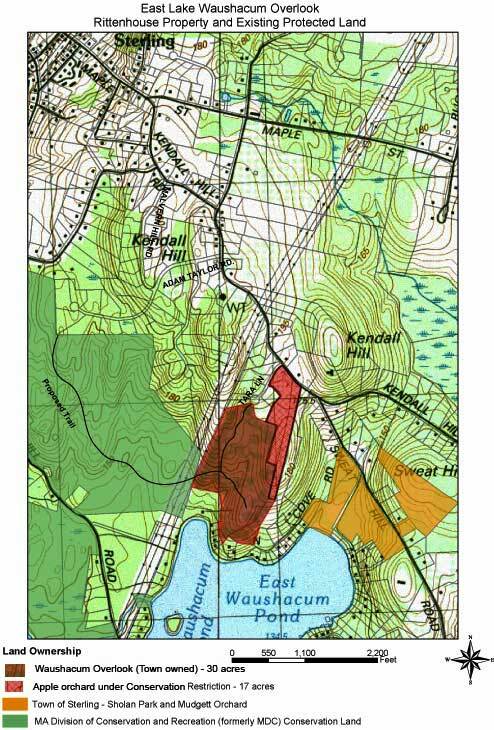 By 2003, with 50 of the original 150 acres remaining, the Rittenhouses owned the largest parcel of private undeveloped land in the East Lake Waushacum watershed. Recently, water quality has been a major concern in Sterling, where all residences in have septic systems. Increased nutrient loads and bacterial contamination have already caused closures at the popular town beach at Sholan Park. Residential development on the Rittenhouse parcel would surely have caused further adverse affects to the water supply. Additionally, this land was functioning as part of a larger open space network of state and town owned lands with great potential for trail linkages and the preservation of un-fragmented wildlife habitat. 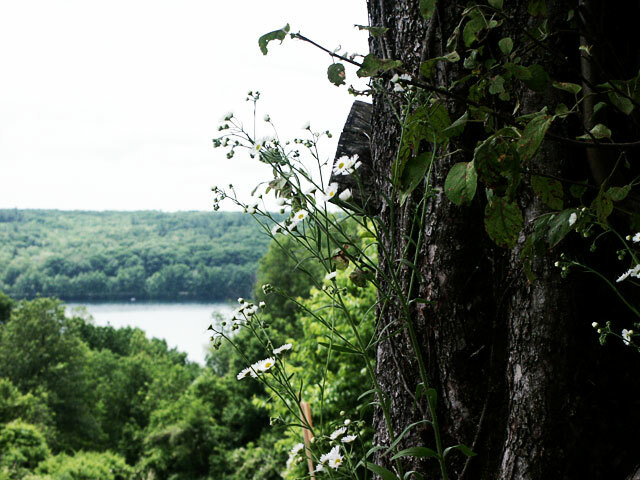 The Rittenhouses recognized that keeping it in its natural state was crucial to protect the water quality of the lake, wildlife habitat and the Sterling’s agricultural heritage. The Rittenhouses also recognized the potential recreational value that their land contained. 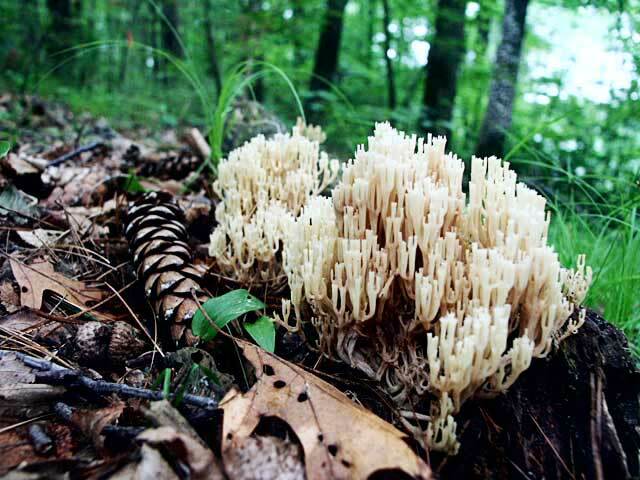 For years, their favorite way to enjoy the land with their friends and family was walking through the orchard, into the woods, past the brook and into the meadow to take in the vista of East Lake Waushacum and the forested hills on its far shore. It was their wish to share this opportunity for recreation with people who enjoy bird watching, hiking, mountain biking, cross-country skiing and horseback riding. Fortunately, after three to four months of negotiations, a deal was struck with the local builder that released the Rittenhouses from the ROFR agreement. At first, the local builder was extremely resistant to giving up the ROFR but TPL argued that the owner of a ROFR has to not only match the purchase price but also, the terms of the sale agreement, which in this case was conservation, not residential development. The local builder acquiesced and received a 3 acre lot while TPL acquired an option to purchase the remaining 47 acres by March 15, 2005, as well as $55,000 to be used for the purchase. 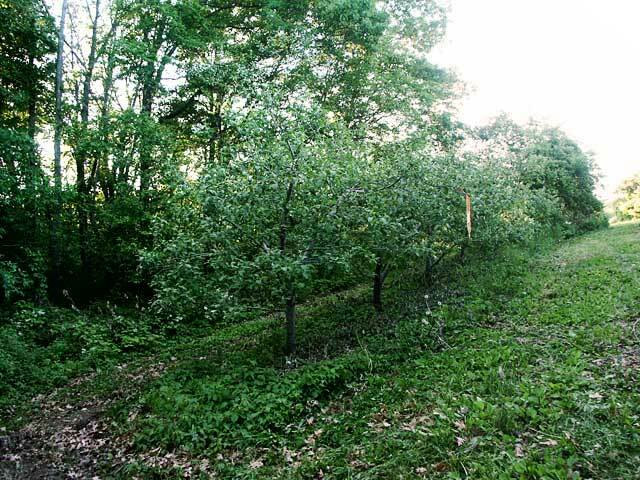 The Rittenhouses decided to split the 47 acres into 2 parcels, 30 acres of forested land that they wanted to sell outright to the Town and 17 acres of apple orchard that they wanted to keep and place under a Conservation Restriction (CR.) Two appraisals were conducted. The total assessed value from the first appraisal was $904,500, comprised of $435,000 for the CR on the 17 acre orchard and $469,500 for the deed to the 30 acre forestland. 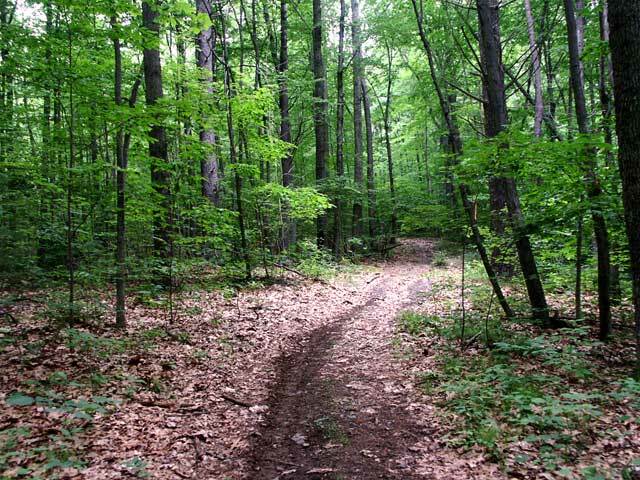 The figures for the second appraisal were $870,000 for the total value, $485,000 for the CR and $385,000 for the forestland. 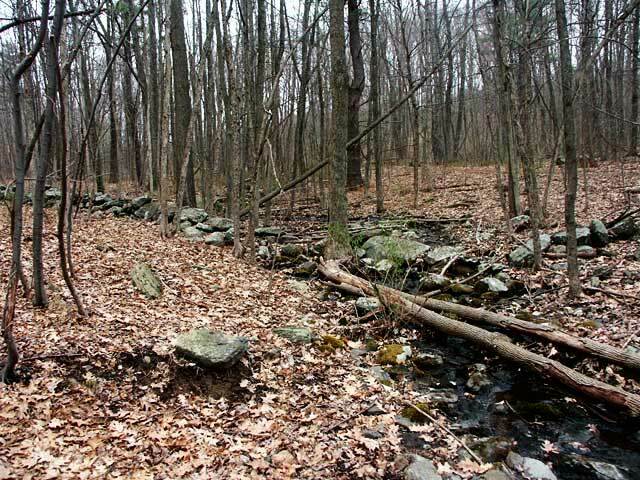 The Rittenhouses generously decided to sell both the CR on the orchard and the deed to the forestland to the Town as a package for $485,000, or about half of the appraised value. This constituted a bargain sale and they were able to claim a charitable deduction on their taxes. To generate the funds needed, volunteers, the Town of Sterling Conservation Commission and the Trust for Public Lands conducted a fundraising campaign and applied for a self-help grant. The East Lake Waushacum Association, Town of Sterling Board of Selectmen and Open Space Implementation Committee were very supportive of the project. Efforts were well received by the community and private contributions exceeded expectations. The final purchase price of $485,000 was funded with $69,500 from private sources, $50,000 from the aforementioned local builder, $30,000 from the Town of Sterling Conservation Commission, $246,000 from a State Self-Help grant and $89,500 from the Town of Sterling Capital Fund. The Rittenhouses are thrilled that despite the difficulty of the ROFR issue, everything worked out in the end and credit the hard work of the TPL and the Town of Sterling Conservation Commission. The Rittenhouses enjoy the benefit of keeping the views that they have grown to love and the knowledge that others also get to enjoy the natural beauty of the land. The feedback they have received has been extremely positive. Many friends and neighbors have expressed appreciation for their generosity and are pleased that the land is now a public park for the town. The 30 acre forestland which contains maple, oak, beech, hickory, hemlock, birch and pine, as well as historic stone walls and a brook has been renamed Waushacum Overlook and is now opened to the public for recreation and scenic enjoyment. However, the official ribbon cutting ceremony has not occurred yet, because amenities such as benches, map kiosks and trail head plantings are still being planned and installed. Trails are currently being developed in the woods and soon a terrace at the vista point will be constructed. 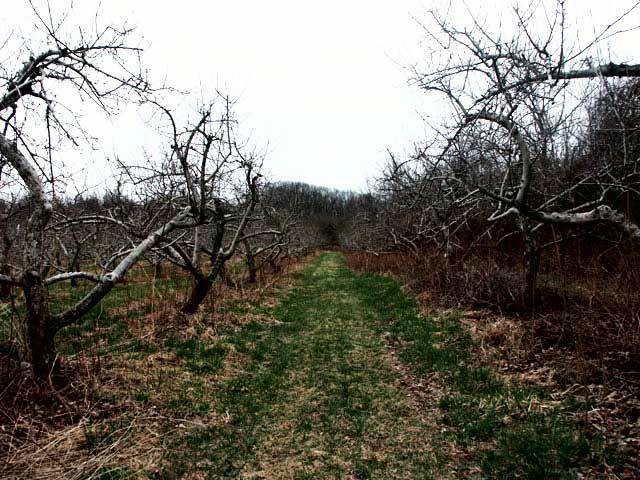 The other 17 acres remain as a working orchard and continue to represent the agricultural heritage of Sterling. By preventing residential development on these 47 acres, new recreational opportunities are afforded and wildlife habitat, as well as the water quality of East Lake Waushacum is protected. Nicole West, project intern, was hired in June 2005 by the Town of Sterling Conservation Commission to help make the recently acquired 30 acre parcel accessible to the public. Nicole West conducted site analysis, collaborated on parking and access issues, designed and flagged routes for new trails, created an interpretive map and guide (still under construction while trail names are finalized) and submitted designs for a vista terrace and trail head plantings. Therefore, Nicole West learned a great deal about the project that way, especially from my liaison on the Conservation Commission, Sue Valentine. From the Rittenhouses: Because they inadvertently signed a deal with a local builder that included a Right of First Refusal on their remaining acreage, they warn others to be more cautious. Their advice: when you sign something, get a good lawyer, not just a friend. Don’t hurry decisions that have lasting effects. Get plenty of advice. From the Town: Because towns cannot commit funds to projects without approval, organizations such as the TPL can help to conserve parcels by quickly securing an option to buy. The option is then assigned to the town when they get the necessary expenditures approved. 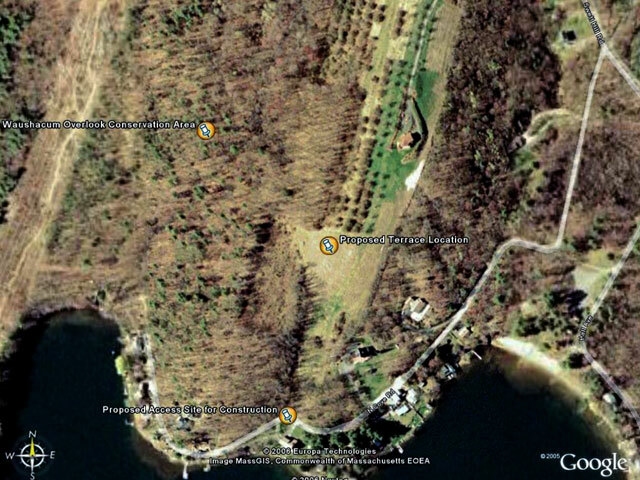 Virginia and Harvey Rittenhouse along with Virginia’s parents purchased 150 acres of land in Sterling, Massachusetts. Lots were periodically carved from the original 150 acres and sold for residential development. Several lots were sold to a local builder. The agreement included a Right of First Refusal (ROFR) for the local builder for the 50 remaining acres owned by the Rittenhouses. Numerous developers attempted to make offers on the 50 acre parcel and were all denied due to the ROFR. The Rittenhouses decided that they would rather see the land conserved than developed but face the dilemma of the ROFR. Virginia and Harvey Rittenhouse ask the Town of Sterling to purchase the parcel. Town meeting voters voted to approve the purchase of the CR on the 17 acre orchard and the deed to the 30 acre forestland by the Town, with the understanding that some of the funds would come from a self-help grant and private contributions.